Starting on Christmas Eve, Corry, Warren, Erie, and Jamestown-area families traveling in General Motors’ vehicles with OnStar services will be able to learn Santa’s whereabouts by simply pressing the blue OnStar button in the U.S., Canada and now in Mexico. For the fifth consecutive year, OnStar is providing the service through collaboration with the North American Aerospace Defense Command, or NORAD, “Track Santa” program. From 7 a.m. on December 24 until 5 a.m. on December 25, anyone with an active OnStar subscription can request a “Santa Update,” which an OnStar advisor will provide based on NORAD information. So how does OnStar keep up with the high volume of inquiries from these curious little callers? While their first priority is the safety and security of their subscribers, they make adjustments in staff so that they are able to respond to the Santa calls as well as their day-to-day calls for assistance. Individuals without OnStar technology can also follow Santa’s progress via the NORAD Tracks Santa website, Facebook page Twitter hashtag #NoradSanta or by calling the hotline at 1-877-HI-NORAD. The Chevrolet Cruze, now available at Crotty Chevrolet Buick, is the brand’s best-selling passenger car around the world. It provides the amenities, quietness, safety features, infotainment and roominess expected of a larger, more expensive sedan, but with the efficiency and value of a compact car. With a starting price of $17,995, including an $825 destination charge, the Chevrolet Cruze model has helped Chevrolet grow its share of the rising global small car market. 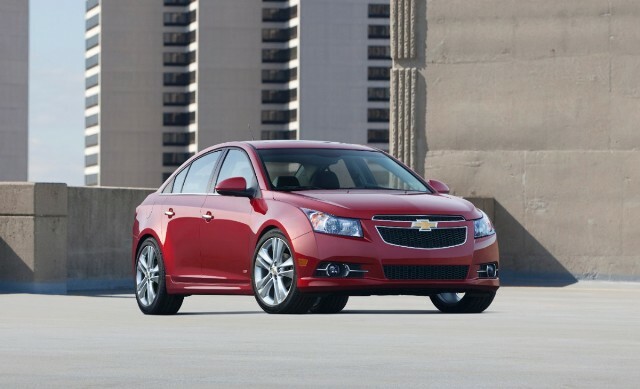 Chevrolet has sold more than 2 million Cruzes around the world, and has the second highest share of buyers under age 25. 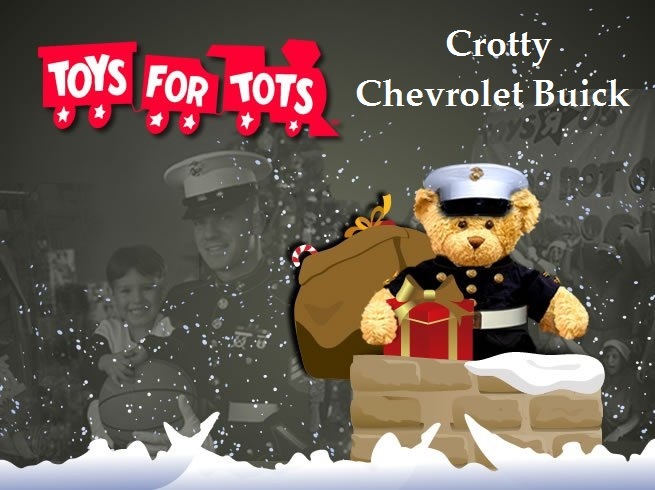 The Cruze is available at Crotty Chevrolet Buick, in LS, 1LT, 2LT, LTZ, Eco and Diesel models. Chevrolet completes the transformation of its North American passenger car lineup with the introduction of the all-new 2014 Impala, now available at Crotty Chevrolet Buick. The redesigned flagship sedan builds on the strong heritage of the Impala nameplate by offering expressive style, a more-refined interior, easy-to-use technology, and an exhilarating driving experience. 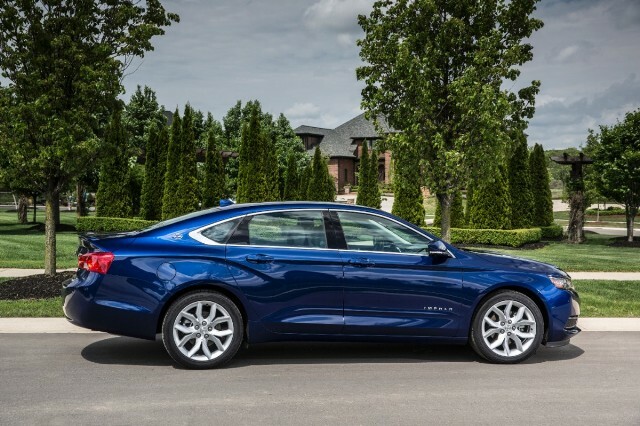 The all-new Impala, now on sale at Crotty Chevrolet Buick, is the 10th generation of one of the industry’s most enduring – and popular – nameplates. Impala was America’s best-selling full-size sedan in 2011, with sales of more than 171,000, which also made it one of the 10 best-selling cars overall in the United States, along with Chevrolet Malibu and Cruze. Chevrolet today unveiled the 2014 Malibu – a roomier, more refined and more efficient execution of its midsize sedan. Updated styling, a revised interior, a new 2.5L standard engine and suspension enhancements highlight the changes. It goes on sale this fall. Corry, Erie, Edinboro, and Warren area drivers of the new 2014 Chevrolet Impala will enjoy sweet sound and sweeter savings at the pump thanks to precision noise reduction and a new advanced valve train technology on the Ecotec 2.5L four-cylinder engine, arriving at Crotty Chevrolet Buick this month. Chevrolet expects the 2.5L model to be a popular choice among Impala buyers. 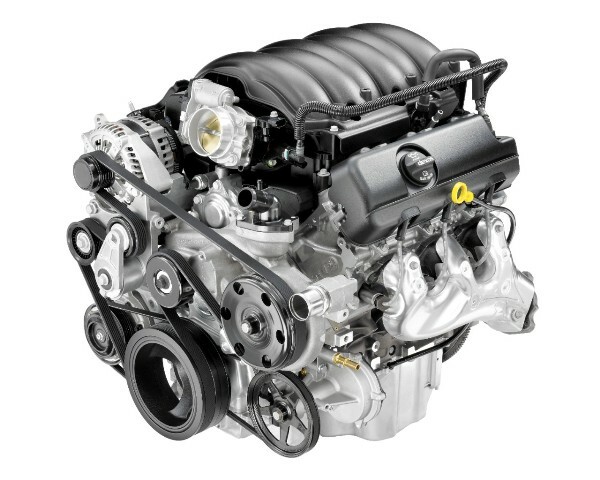 More than two-thirds of Chevrolet cars sold in the U.S. during the first quarter of 2013 had a four-cylinder engine. Chevrolet expects its new flagship sedan to be more fuel efficient, due in part to the 2.5L engine’s Intake Valve Lift Control technology. When the all-new 2014 Chevy Silverado full-size pickup arrives at Crotty Chevrolet Buick, this summer, its standard 4.3L EcoTec V-6 it will offer the most torque of any standard V-6 in the segment – 305 lb-ft (413 Nm). Corry, Erie, Warren and Jamestown, NY area Silverado buyers will choose from three new, advanced EcoTec3 engines – a 5.3L available at launch, followed by the 4.3L and 6.2L versions available later this year. All are designed specifically for the high trailering and hauling demands unique to truck buyers.